An Update on My Everyday Mantle. If you're a regular here, then you probably know about most of what's going on with my mantle. But since I'm linking up with Kelly's Korner for Show Us Your Life this Friday, I figured I'd compile what I've done with my mantle so far. Since this is my first mantle I've ever had, I've never decorated it for holidays or anything. This is my everyday decor. 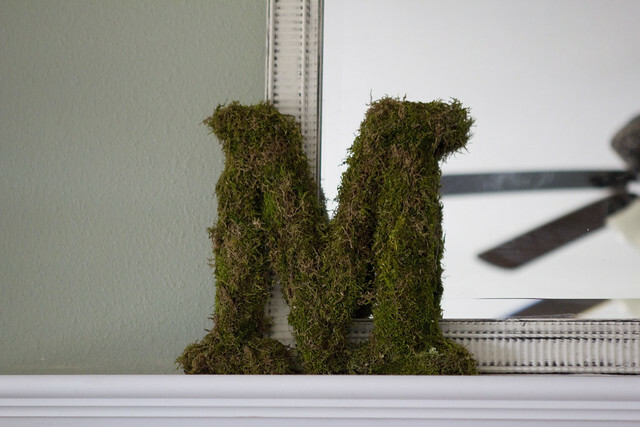 my moss letter (click HERE to read my post on how I made it-- it was SUPER simple! ), inspired by Pottery Barn. I love this piece! My rustic lantern is from TJ Maxx. It's actually an outdoor lantern made from twine, but I loved how it looked, so I repurposed it as a piece on my mantle. The red frame is also from TJ Maxx. I snagged it for $7! The little quote is something I found on pinterest. 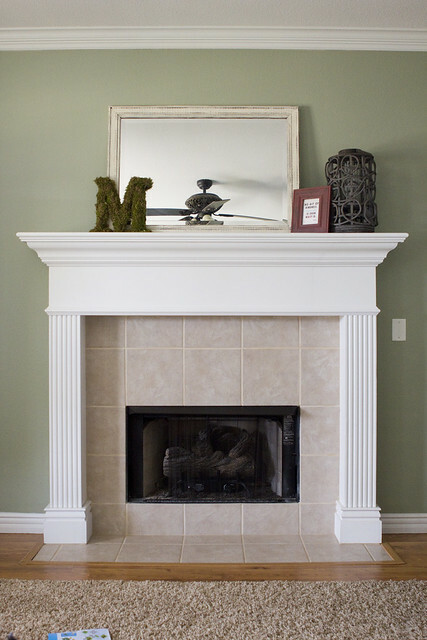 Here's the entire mantle together. The mirror is an old mirror I've had since we bought our first house. 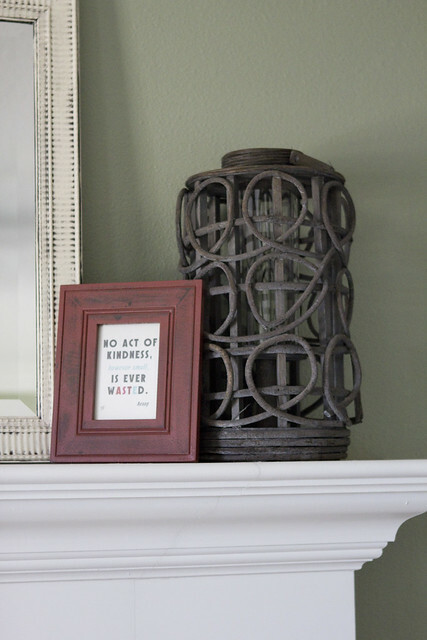 I spray painted it (it's metal) an ivory color, and then used an antique glaze to give it a distressed look. You can click HERE to see how I did that project. Winners of I Love You All The Time. How I Display Pictures (So Far Anyway). Your Ideas for Handling a Strong Willed Child. 20 Months Old and Sweet as Sugar. Entryway: Update and Opinions Needed. In Answer to Why I Pray for My Child. My Strong Willed Child: A Cry for Help. A Creekside 4th of July. Weekend in Review: Fourth of July Edition. I Heart Faces: Enjoying Life.